Warehouse robotic systems represent the dawn of what can be called the fourth industrial revolution. Today’s technology brings a boom in collaborative robots and autonomous mobile robots (AMR) that work seamlessly with the human workforce to increase efficiency and flexibility. Global estimates predict a whopping 1.3 million increase in industrial robots in 2018. Amazon is credited as a pioneer in using warehouse robotics as early as 2011. At the time, the retail giant used 1,300 Kiva Systems’ robots. In 2012, the company bought Kiva Systems for $775 million and rebranded it as Amazon Robotics. Soon the company discontinued its sale of robotic systems and decided to use all products internally. Today, it runs over 30,000 robots in its fulfillment centers. The void left by Amazon Robotics was quickly filled by startups that made new robotic systems for sale to help serve the emerging market. The open shuttle utilizes trackless navigation and directly integrates with complementary systems like OSR and YLOG shuttles. Locus Robotics has developed and deployed a multi-robot fulfillment system that increases productivity and reduces time by utilizing innovative work processes. The Locus server guides the autonomous robot fleets throughout the warehouse. Fetch Robotics’ robot team consists of a Freight mobile base and a Fetch picking arm. When Fetch supports a warehouse associate, it flows your associate to order picking areas where it is loaded and dispatched to shipping. This goods-to-man automated system leverages an autonomous robot fleet, which transports mobile shelving to required picking stations. IDEAL Logistics Group is presently testing this system. 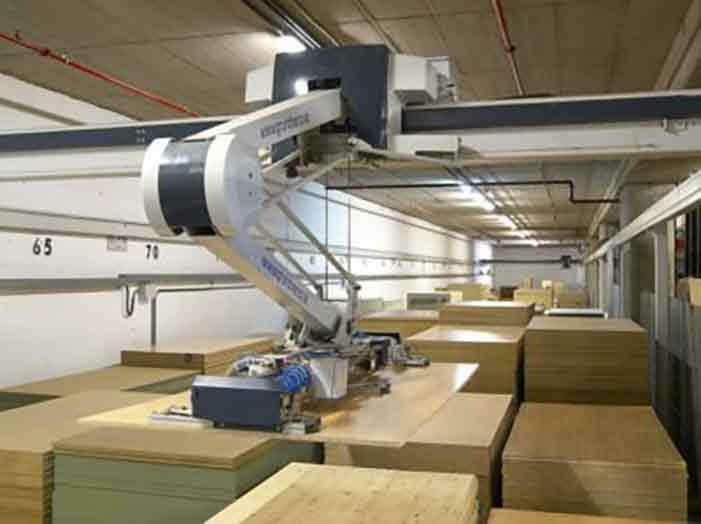 Swisslog CarryPick’S automated guided vehicles (AGVs) retrieve mobile racks and then delivers them to manned workstations. A warehouse management system controls the AGVs, which execute tasks simultaneously. Increased order-to-delivery times: Thanks to Amazon’s efficient warehouse robotic systems, real-time order fulfillment is now a reality. Robots facilitate the transport of orders to facilities, picking robots, the pallet, packaging and pricing departments, loading docks, and to shipping containers. The rise of autonomous vehicles and drone delivery concepts will further reduce the delivery times of your orders. Reduced errors and reverse logistics: Robots can log large data sums and review it for errors accurately. The pinpoint accuracy will reduce reverse logistics processes since all your orders will be logged correctly. Improved quality: Warehouse robotics perform applications repeatedly and with precision every time. As a result, products are manufactured with similar specifications and processes leading to reliability. Also, repairs are fewer and far between. Reduced cost of warehouse logistics: Increased use of robots in warehouses means reduced need for human labor. While this is disadvantageous if you rely on warehouse logistics jobs, it is a win for companies looking to reduce their overhead costs. Better utilization of floor space: Automating your production line reduces work area footprint. This means that you are free to utilize your floor space for other processes. Reduced workforce burden: As robots take over most of the physical work in warehouses, human workers will move on to more fulfilling and insightful positions. Robots will also allow people who cannot physically work in traditional logistics operations to gain employment in maintenance fields. Reduced transportation delays between warehouses and distribution centers: The use of autonomous trucks, driverless vehicles, and drones will reduce shipment delays due to the fast analysis of delivery-impacting factors like traffic conditions, poor tire pressure, and weather. Increased safety: Robotics increase workplace safety. This is because your workers will move from performing dangerous tasks to supervisory roles where barriers are used to keep operators out of harm’s way. The benefits of using warehouse robotic systems in unloading, loading, and delivery are numerous. Robots do not drink, sleep, complain, or require a paycheck. For these and many other reasons discussed above, warehouse robotics are quickly becoming prevalent in the logistics industry. Culver Equipment, LLC is a leading provider of material handling systems and warehouse layout consultants in the market today. As one of America’s fastest growing companies in 2016, we are poised to continue to serve the market as technology grows and matures. Contact one of our professionals today for more information.